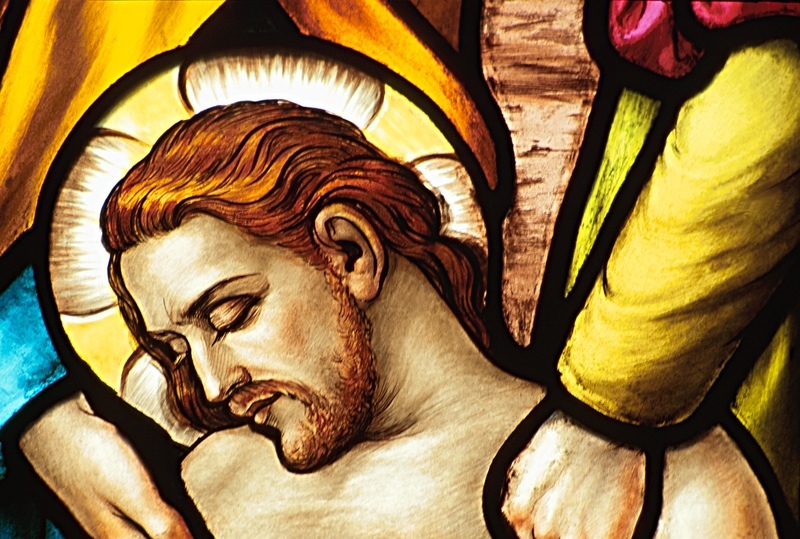 During Holy Week we hear the Lord’s Passion played out several times. We heard Matthew’s telling of the story on Palm Sunday. On Good Friday we hear John’s recounting of Christ’s suffering and death. Several years ago I was reflecting on Christ’s Passion and began to wonder how Peter might have felt about the events leading up to Christ’s crucifixion. Peter, who Christ chooses to lead his Church, sounds like a strong, proud man. He commits his life to Christ. He promises that he will never betray his friend. He draws his sword to defend Jesus when taken captive in the Garden. But its also Peter who later denies knowing Jesus – three times. Peter, with all of his strength and bravery, is just like you and I. He is human and not perfect. And Peter’s humanness is reflected in his deserting Jesus in his time of need. Copyright © Daniel R. Donnelly. All Rights Reserved. This entry was posted in Faith, Fellowship, Forgiveness, Music, Passion on 04/22/2011 by Deacon Dan Donnelly. The following is a summary of Deacon Dan’s Palm Sunday homily of April 17, 2011. The sign outside the church says “Palm Sunday – The Beginning of Holy Week.” And as quickly as it begins, Holy Week get busy and complex. 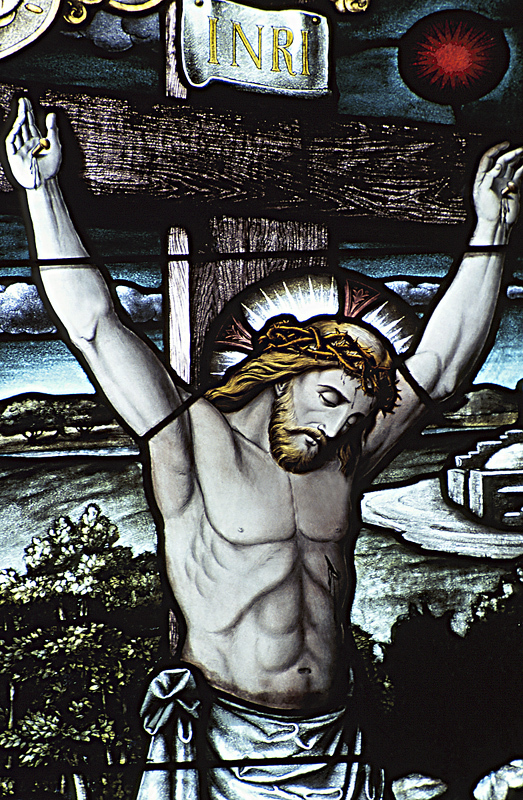 While we celebrate Palm Sunday and commemorate Jesus’ triumphant entry into Jerusalem, we also celebrate Passion Sunday as we recall Jesus’ suffering and death by crucifixion. As soon as Holy Week begins, we are stuck in the middle of a paradox – a contradiction of terms. On the one hand, we are joyful and excited about the coming of the Messiah, the Savior. On the other hand, we are saddened by the death of a friend. This paradox is typical of life many days, and is typical of our spiritual journey at times. Our spiritual journey may not always be a smooth path, but what keeps us moving forward, one step at a time, is our faith. We are a congregation of believers. That belief in better things to come is what keeps us holding on and pressing forward. Last Fall I attended an Encounter liturgy at church with our Youth Group. Encounter is exposition of the Blessed Sacrament and Benediction set to contemporary praise and worship music. During that particular liturgy I sat and reflected on the beautiful music and the expressions on the faces of those who were there as they poured out their prayers before Jesus, present in the Eucharist. As I looked at the faces of the youth and adults in attendance it struck me that I could not know where each person was on their spiritual journey. You have to keep believing! This Holy Week, and the period of Easter following Holy Week, are are great times to sit with the Holy Spirit and to explore our paradox of faith. And this week is a great time to participate in the dozens of liturgies and prayer services planned for our parish to help prepare ourselves for Easter. This is a great time to rediscover our faith in personal prayer and communal liturgies. Not out of obligation, but by invitation. I invite you and encourage you to attend as many of these events as you can. And I encourage you to invite others to join you as well. When we are baptized, our parents, godparents and the entire assembly gathered to celebrate this wonderful sacrament and to renew their own baptismal promises. Together, we stated what we believe. We believe in God. We believe in Jesus Christ. We believe in the Holy Spirit. We believe in all that the Catholic Church holds to be true. That same promise is repeated each Sunday as we recite the Nicene Creed. That same sense of belief, that same strong conviction will help carry you through Holy Week and beyond. I draw your attention to our newer Stations of the Cross in our church. I love how these stations were mounted on the wall. Rather than mounting them in a straight line, the Stations are mounted at various heights, representing Jesus’ journey to the hill on Calvary, and then down to his tomb. To me, this reflects the up-and-down struggles in our faith. Our spiritual journey is not always easy, but our belief in God keeps us moving forward. And if you look at our Stations, you will notice that they leave you in a down spot. The fourteenth station, Jesus is buried in the tomb, is the lowest spot in the display. Next week at this time, we will celebrate the Resurrected Jesus. If we were to place a fifteenth station to reflect that reality, the ceiling of the building would not be high enough to reflect this wonderful event. If our faith ended at placing Jesus is the tomb, we could all sleep in on Easter morning. But it doesn’t (so you can’t sleep in!). Our faith is one of journey, struggle, and eventual victory. And how do we get to that victory? How do we get through the paradox that is Holy Week? The answer is simple: You have to keep believing! Have a blessed Holy Week and a glorious Easter! This entry was posted in Faith, Grace, Music, Passion, Trust on 04/18/2011 by Deacon Dan Donnelly.